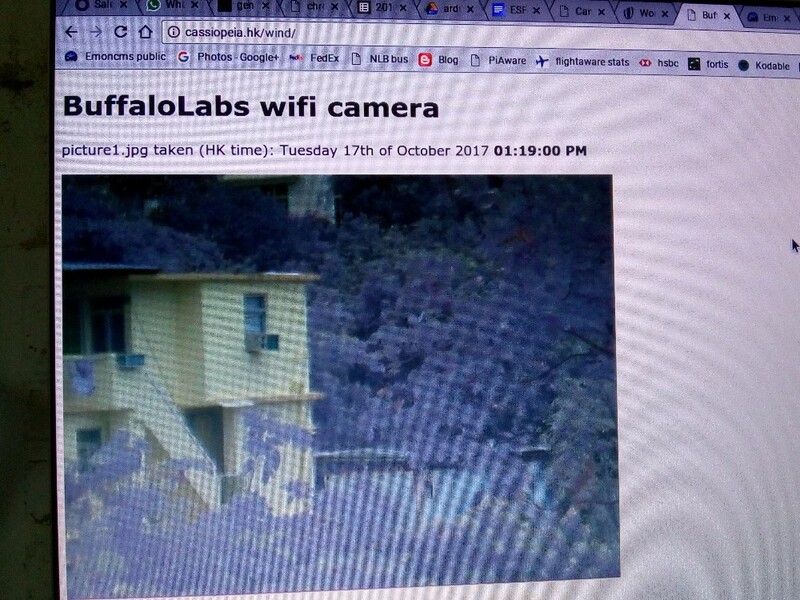 Combining various sources of code, i built a cheap web camera that sends an updated image to a web server every 2 minutes. 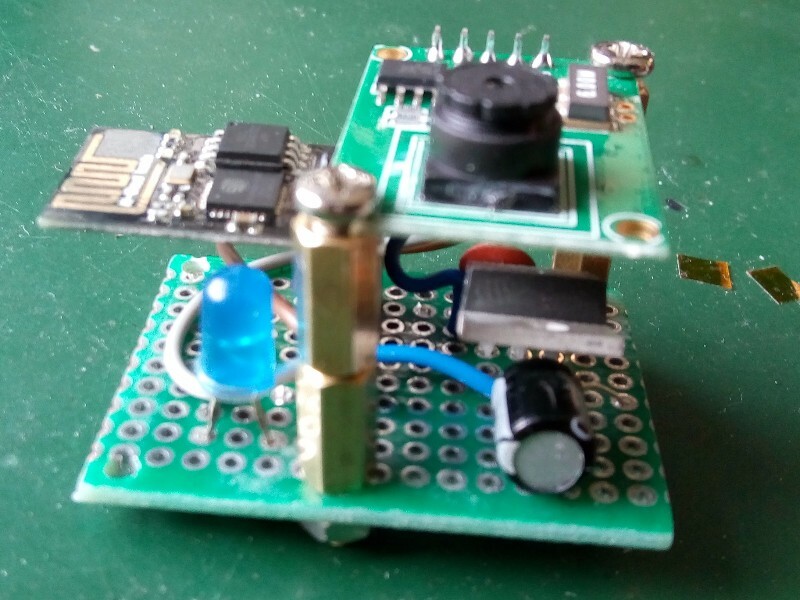 It is based on the ESP8266 wifi module, programmed with the Arduino IDE, and a serial camera (TTL level) like the PTC06 or (modified) PTC02/PTC08. The highest image resolution is 640×480, resulting in JPG files of around 45kB. The above serial cameras come with a DSP that does the compression into JPG format, and stores the image until we read it over the serial connection. 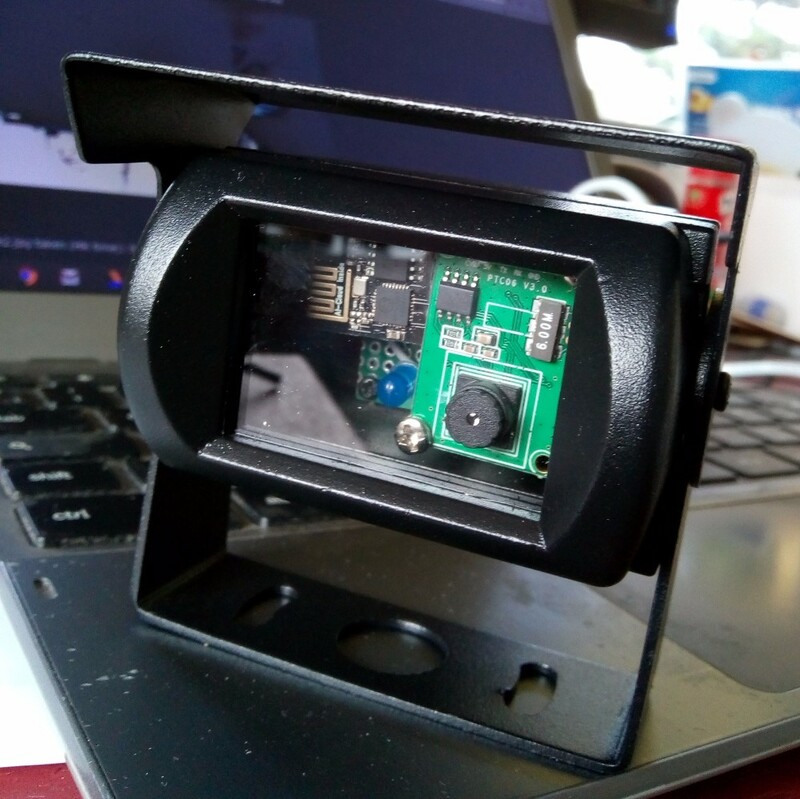 Adafruit has written an extensive Arduino library for these cameras, but i started from a different, excellent example of an ESP8266 acting as a web server with a PTC06 camera. I used a NodeMCU v1.0 and the example worked immediately. The reason i used the PTC06 camera is that it comes standard with Serial TTL levels (not RS485, not RS232). The module can be powered by the 3V3 rail of the NodeMCU (it does not need 5V). My aim is to build a webpage with live updated images from a certain location, so i need to send the images to a web server. I could not find an FTP library for the ESP8266, so i used this Arduino FTP example. This works after removing the F() wrappers from the client.print commands, as described here. I created an FTP account on my server, and a directory to put the images in. 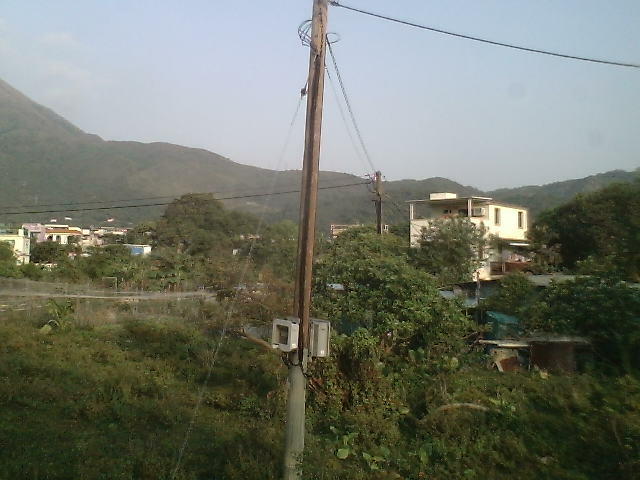 Below is an example of a 640×480 picture taken by the PTC06 (4.3mm lens) without modifying any image properties (after manual focus). 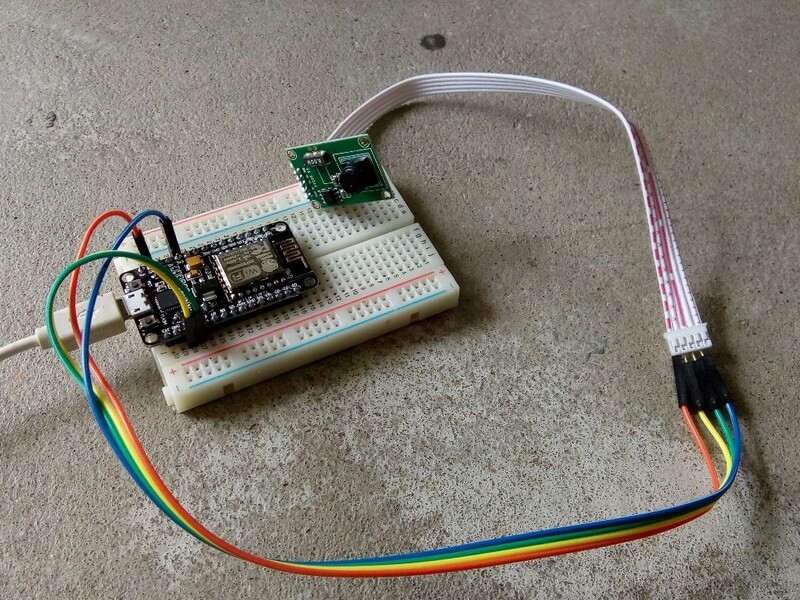 I went back to the above camera web server example, and instead of sending the file to the client over a TCP connection, i saved it as a JPG image to the ESP8266’s SPIFFS file system. Then i read the file from SPIFFS to do the FTP, appending an index number to the filename, from 0 to 9. So i will always have the 10 most recent pictures stored on my server, overwriting the oldest one with the newest one. Maybe it is possible to skip saving the file, and read from the camera while writing over FTP; i did not try that. The PTC06 is only available with a rather wide lens (4.3mm), and without enclosure. I got a PTC02 with a 25mm lens, in a waterproof IP67 casing. It is available from PUTAL, the manufacturer (links above) in RS485 and RS232 versions, not TTL. Adafruit does sell a waterproof TTL version. I got the RS232 version and followed these instructions to remove the RS232 chip to modify it to TTL level output (not really easy). This waterproof PTC02 actually has a PTC08 pcb inside. 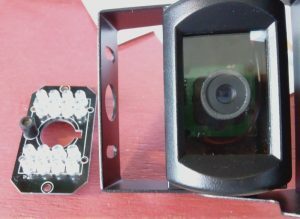 It also has an extra pcb with IR LEDs to enable night vision. These IR LEDs switch on based on an LDR sensor on the same PCB. The only connection with the camera PCB are the 2 power wires. As i don’t need night vision, i removed this IR LED pcb. On the left the original with IR LEDs and on the right without, and with the green PTC08 pcb visible. 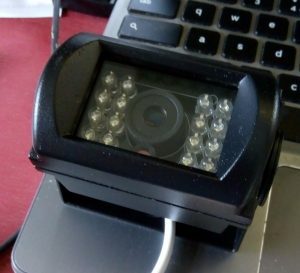 The PTC02/PTC08 can be tested also via their video output on the CVBS terminal, that is useful for adjusting the focus. Details available at Adafruit. My initial pictures of the PTC02/PTC08 were very grey, not much colour. 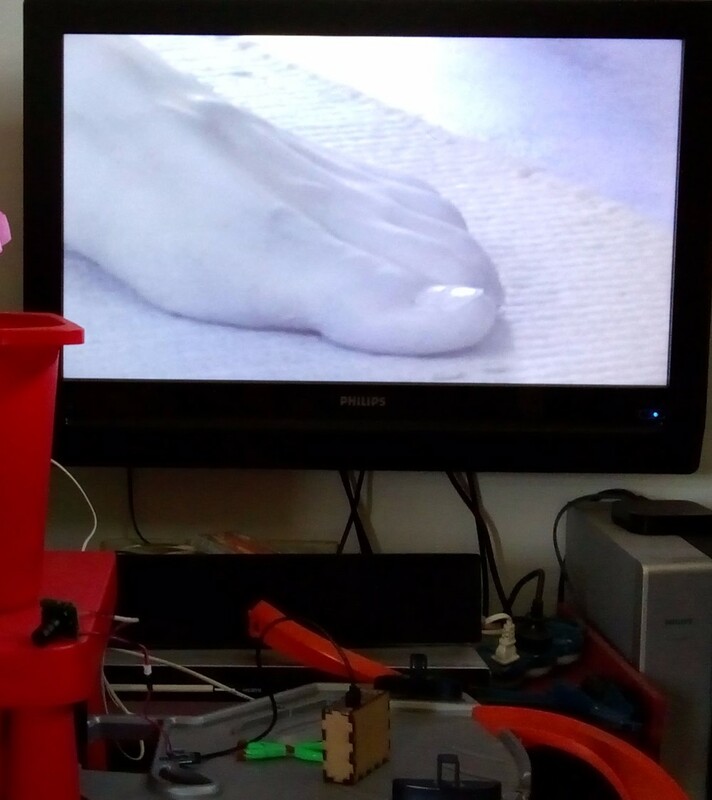 I installed CommTool on a Windows laptop as described by Adafruit to be able to change the increase the saturation; for some reason it was set quite low, maybe for the night vision. 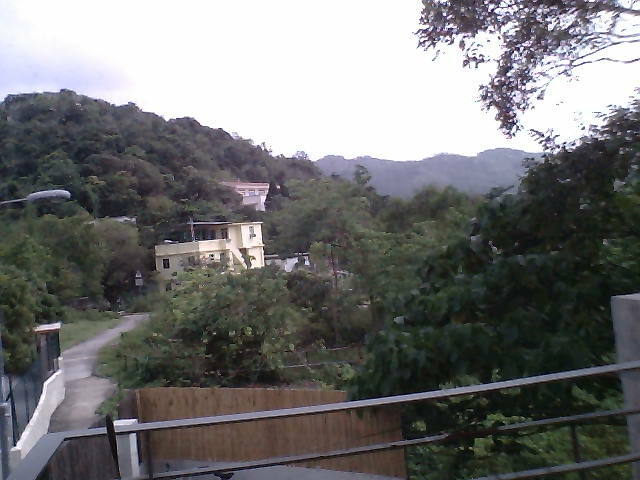 Below picture is taken with the PCT02 25mm lens, modified saturation, max resolution of 640×480. 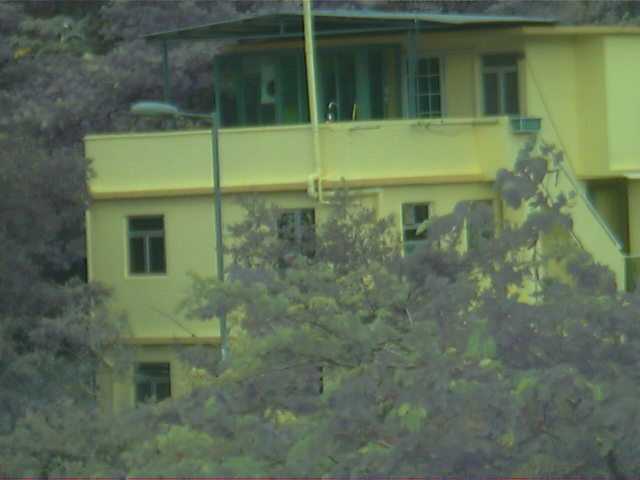 For reference, it is the same house as in the centre of the above picture (4.3mm lens). The instructions to be sent to the camera over Serial are almost identical for the PTC06 vs PTC02/PTC08; only the SendReadDataCmd() has a different end byte (0x0a vs 0xff). And the default baud rate is different: the PTC06 is 115200, and the PTC02/PTC08 38400. It can be changed but Adafruit warns against it so i did not bother; speed is not a major concern in my application. The 25mm lens was a bit too narrow, so i decided to use the housing of the PTC02 to put an ESP8266 (ESP-01 package) inside, with the PTC06 camera. So the whole project fits inside this nice waterproof box, with only power wires coming out. 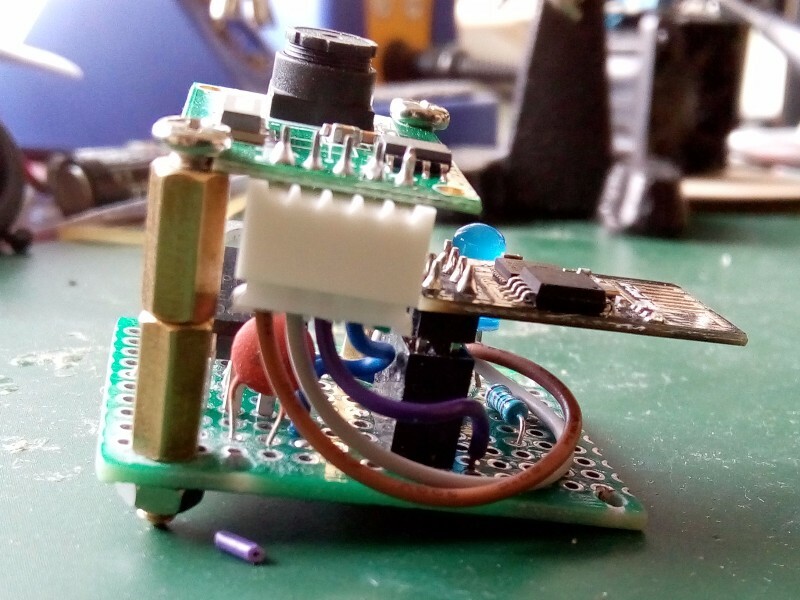 The perf board has an MCP1826 voltage regulator from 5V to 3.3V, so the project can be powered with 5V USB. The ESP-01 can be taken out of the header for re-programming. Th blue LED indicates capture, save, ftp. First thanks for the sample code. Is it possible that we contact each other via e-mail. May I ask why you used an ftp server instead of a webserver on the nodemcu? I could go either way, just not sure which way is best. May I ask you what’s your schematic of circuit? hi, it’s only 4 wires so i hope it is clear from the text and code. the final project includes a voltage regulator and LED as described in text.